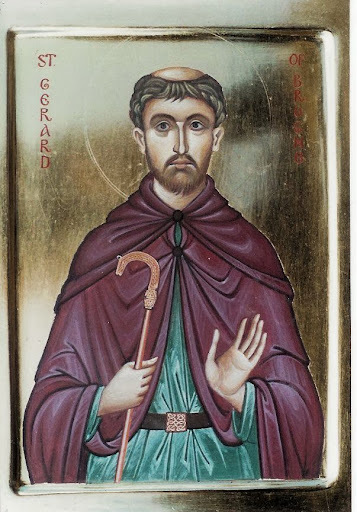 ST. GERARD was of a noble family of the county of Namur, France. An engaging sweetness of temper, and a strong inclination to piety and devotion, gained him from the cradle the esteem and affection of every one. Having been sent on an important mission to the Court of France, he was greatly edified at the fervor of the monks of St. Denis, at Paris, and earnestly desired to consecrate himself to God with them. Returning home he settled his temporal affairs, and went back with great joy to St. Denis'. He had lived ten years with great fervor in this monastery, when in 931 he was sent by his abbot to found an abbey upon his estate at Brogue, three leagues from Namur. He settled this new abbey, and then built himself a little cell near the church, and lived in it a recluse until God called him to undertake the reformation of many monasteries, which he did successfully. When he had spent almost twenty years in these zealous labors, he shut himself up in his cell, to prepare his soul to receive the recompense of his labors, to which he was called on the 3d of October in 959. Reflection.--Though we are in the world, let us strive to separate ourselves from it and consecrate ourselves to God, remembering that "the world passeth away, but he that doth the will of God abideth forever." MARIE-FRANCOISE-THERESE MARTIN, known as "The Little Flower of Jesus," was born at Alencon. France, on January 2nd, 1873. Reared in a home of comfort and surrounded by refinements that would have spoiled an ordinary child, Teresa's intelligence had an early dawning which enabled her to comprehend the Divine Goodness far in advance of her tender years. Our Lord visited upon the child a severe trial--a strange malady from which there seemed no recovery. Her implicit confidence in God, however, overcame her infirmity and she progressed rapidly toward sanctity. Teresa adopted flowers as the symbol of her love for her Divine Saviour and offered her practices in virtue, sacrifice, and mortification as flowers at the feet of Jesus. 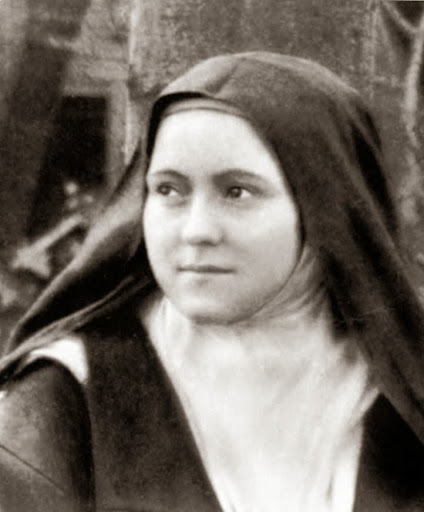 At fifteen she entered the Carmelite Convent at Lisieux, France, where she distinguished herself by punctual observance of the rule, burning love for God and wonderful trust in Him. Before she died, this "lily of delicious perfume"--as Pope Pius X. called her--revealed to the superiors her life story in pages of rarest beauty.